Gillian Montanaro, head of marketing at Roland DG EMEA, has said the company is looking to speak with as many visitors as possible at FESPA 2018 next month as it seeks to provide the solutions most sought-after in the global market. Roland DG is one of many leading print brands that will be in attendance at this year’s event, which runs from May 15-18 in Berlin, Germany. The company is a long-term supporter of FESPA’s events and regularly exhibits, and will use the 2018 show to gauge the type and level of demand across the print industry. With this in mind, Roland DG has set its theme for FESPA 2018 as ‘What matters to you, inspires what we do’, with the aim of showing visitors how its machinery can help them achieve their goals, as well as take away ideas for developments. “At FESPA, our aim is to celebrate the achievements of our customers and thank them for their loyalty,” Montanaro told FESPA.com. “Roland DG highly values the synergy and partnership with its customer base. Visitors to the Roland DG stand will be able to view various pieces of kit, such as the firm’s flagship TrueVIS print and cut range. 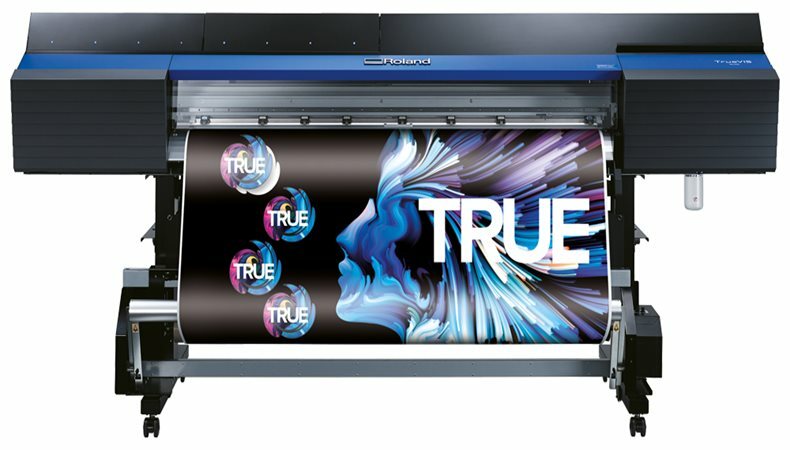 Roland DG was able to sell the first TrueVIS VG-640 to Dutch design bureau Eelan after owner Joris Langedijk saw the machine in action at FESPA Digital 2016. “We are currently running our TrueVIS. True Print and Cut Without Compromise campaign, demonstrating there is no compromise when it comes to quality of print, versatility of applications, unattended production capabilities and impressive return on investment,” Montanaro said. This month, Roland DG will also launch its new ‘Roland Hero Awards 2018’ as a way of sourcing, celebrating and recognising the achievements by Roland users from across Europe. Roland customers visiting the event can find out more about the Awards, as well as receive their ‘hero’ gift. The overall winner of the Roland Hero Awards 2018 will be the customer that best represents the ethos and values of the Roland DG brand. Montanaro added: “FESPA is a place for people to discover how to become even more successful and profitable in their businesses, and to find new sources of inspiration.